With ever increasing advancements within the car industry, we are still yet to see a car that would be completely accident proof. However, until then we can rely on a number of safety features that can provide you with improved protection against accidents and lowered risks of serious injuries and fatalities if involved in one. Below you can find a few of these safety features that we took a closer look at and found to be the most popular and reliable on the market right now. Auto Emergency Braking (AEB) is one of the most popular car safety features available on the market right now. This feature alerts a driver once it has detected danger of a crash and helps them use the maximum braking capacity of the car. This system will brake independently if the situation becomes critical and no interaction is made by a human to stop the vehicle. AEB comes in three different categories and some cars may have reverse AEB system as well as forward. Why should you get AEB? *Bear in mind, however, that AEB can not be installed into a car after you have bought it, this is a system that has to be implemented into a car during its making process. Prices of cars bearing AEB vary, although, some used cars have this system, meaning that you may not necessarily have to pay a wild amount money to obtain this safety feature. Curtain Airbags are a safety feature developed to protect the driver’s and passenger’s heads in case of a side crash. Why should you get curtain air bags? Research conducted in the USA estimates that head protecting airbags can reduce driver deaths in the event of a side impact crash by close to 40%*. Without them, in a side impact crash there is little to protect your head from striking the side of the car or rigid objects like trees or poles. 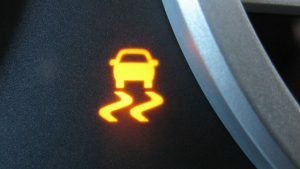 Electronic Stability Control (ESC) assists the drivers by reducing the danger of skidding or losing control of the car due to over-steering. ESC uses a computer controlled technology and activates when a driver loses control of the vehicle, by applying individual brakes and helping to stabilise the car, without the danger of fish-tailing. Why should you get ESC? Research shows that ESC lowers the chances of a single car crash by up to 40%. No other active safety device has such potential to reduce single car crashes. Intelligent Speed Assist (ISA) is a useful safety technology that warns the driver if they go over the legal speed limit for a section of a road (eg. 3km/hr or more). Warnings will activate to let the driver know that they are going too fast, these could be audio (alarm) and visual (flashing red light). ISA can also be fitted with a speed limiting function which increases the pressure on the accelerator when you exceed the posted speed limit, making it harder to accelerate. ISA picks up the location of the car through GPS navigation, it then runs this information through a digital road map which contains speed limit information for all roads. 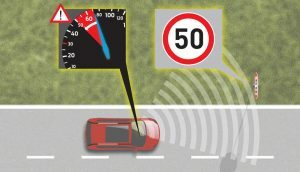 It would then analyse the speed that the car is driving in and issue a warning to alert the driver if they are going at a set amount or more over the speed limit. ISA can also be used as an active speed limiter, this would allow it to physically prevent the driver from exceeding the legal speed limit by reducing the throttle signal going to the car’s computer if it picks up excessive throttle for the present speed limit zone that the car is travelling in. Why should you get ISA? As well as reducing the possibility of serious injuries and fatal collisions, ISA also contributes to reductions in fuel consumption and car emissions without significant increases in travel times. Reversing camera, also known as backup camera, is a unique type of video camera produced as a safety device to stop backup collision. It is fitted to the rear of a car to aid in backing up and to help to alleviate the the rear blind spot. Reversing camera typically has a wide angle or fish eye lens. Commonly such lenses can spoil the camera’s ability to spot faraway objects, however, it allows the camera to see an unobstructed horizontal path from one rear corner to the other. The camera usually points downwards to view potential obstacles on the ground as well as the position of nearing walls and docks, rather than straight back. 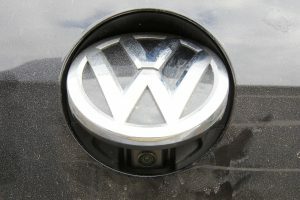 Often available as optional factory accessories on standard cars, however reversing cameras are often installed as a compulsory on motorhomes and towing vehicles. They are also available as aftermarket accessories. Inside the vehicle, the display is typically wired to automatically sense when the transmission is set in reverse, showing the backup view while in reverse, and showing the map (or other content) at all other times. Why should you get a Reversing Camera? 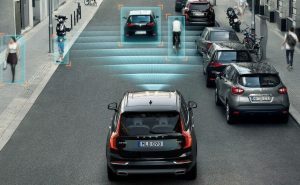 Reversing cameras, even though not the most technologically advanced safety system are unbelievably helpful for drivers not only while reversing, but also when changing lanes while faced with blind spots that interior mirrors can not look past.